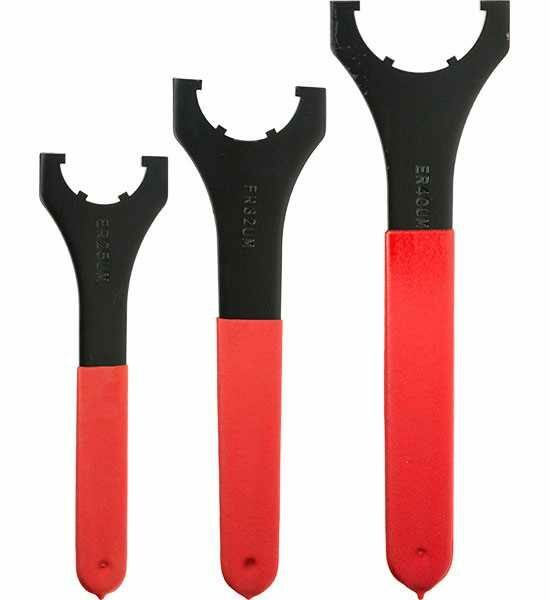 6mm thick forged steel ER Collet nut wrenches with a comfortable soft grip, non slip handle. Four point contact ensures a positive, no-slip, location of the wrench in the collet nut. ER Collet nut wrenches are made specifically for slotted Type B and Type T2 ER collet nuts.